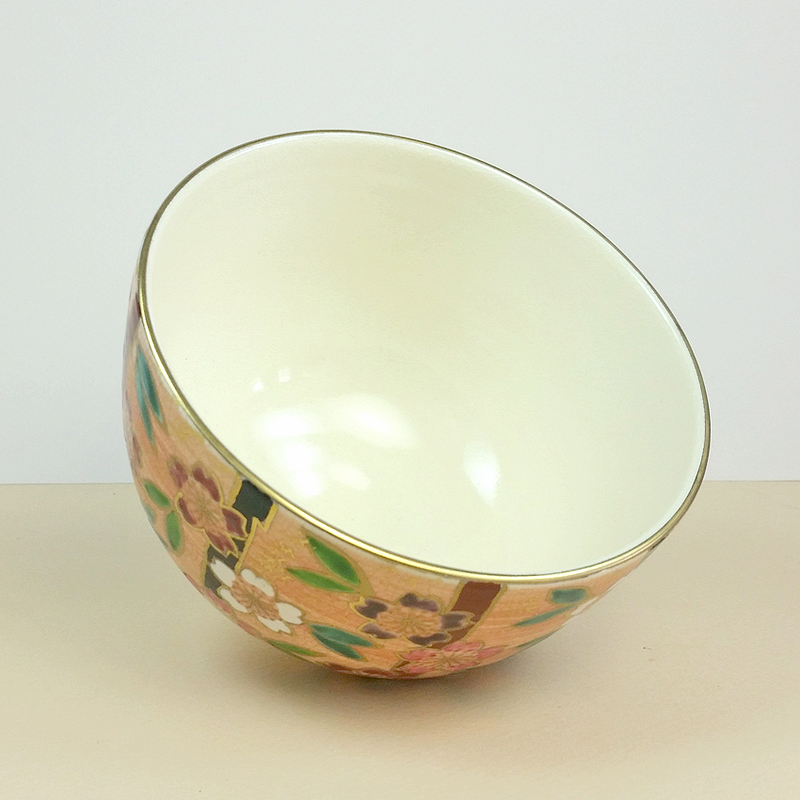 With its floral motif and vivid, joyful colors, this matcha bowl evokes the spirit of Spring in Japan. 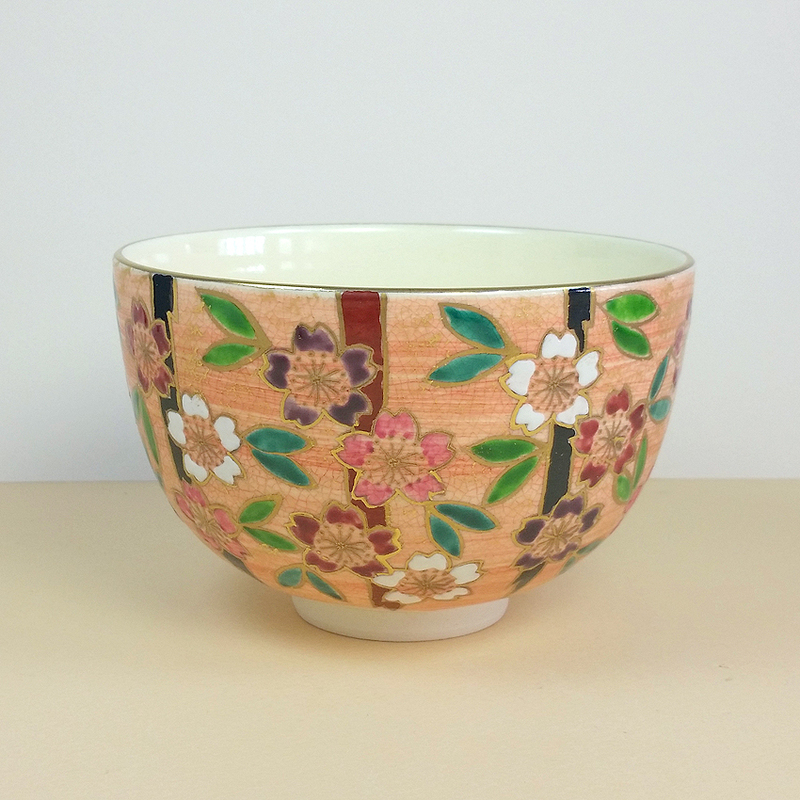 A profusion of jewel-toned sakura blossoms, outlined in gold, adorn the bowl’s exterior, making it a beautiful sight to behold from any angle. The background is glazed with a lovely soft pink crackle glaze which perfectly highlights the vibrant greens of the sakura blossom leaves. 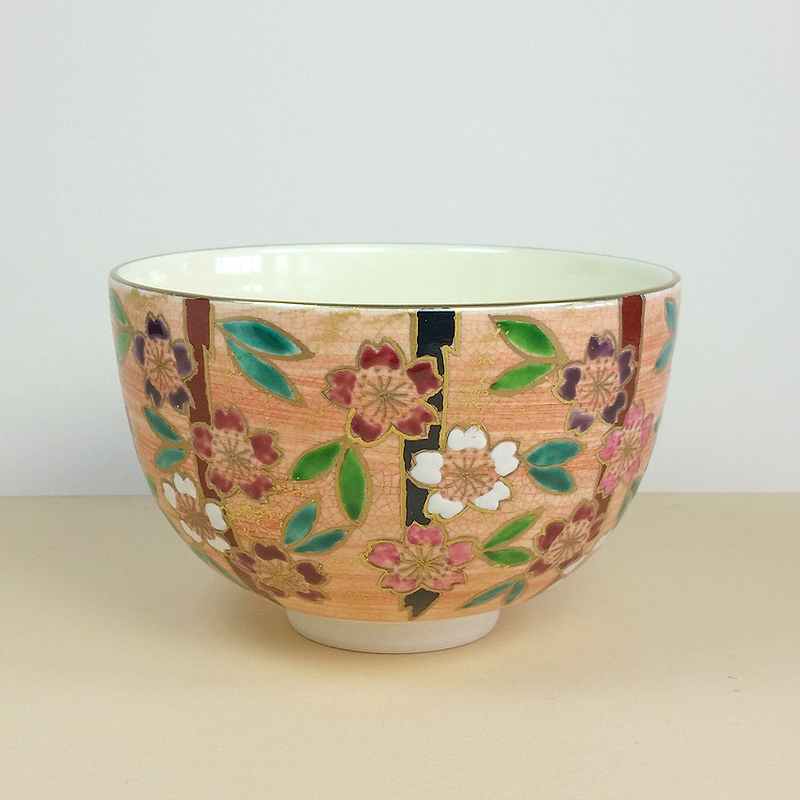 Over the pink glaze, the artist has added subtle touches of gold applied with a sponge, which catch the light as the bowl is admired. A simple clear crackle glaze covers the bowl’s interior, creating a great environment for showing off the beauty of well-prepared, whisked Matcha. Kiyomizu or Kiyo-yaki pottery is produced in and around the city of Kyoto, Japan. Kiyomizu pottery traces its origins to the 5th century. At one time, potters and their kilns dotted the streets around the Kiyomizu-dera Temple on the outskirts of Kyoto. Today many high-quality pottery shops remain in this section of town, located on the streets lining the hill up to the temple, but the potters have moved out of the city to nearly Yamashina where there is more room for their workshops. The style and appearance of Kiyomizu pottery has evolved and changed over many centuries, first adding vivid colors during the Muromachi period (1338-1573), and then adding over-glazing techniques to give an added luster to items post-firing.